UNESCO-IHP’s Hydrology for the Environment, Life and Policy (HELP) program is an approach to integrated catchment management through the creation of a framework and the provision of a platform for water law and policy experts, water resource managers and water scientists to work together on water-related problems. HELP involves a network involving 91 basins from 67 countries, including nine that are partly or entirely within the United States and Puerto Rico. One such HELP basin is the Iowa-Cedar river system of southern Minnesota and eastern Iowa, USA. The river basin suffered major floods in 1993, 2008 and 2016, and severe droughts in 1988 and 2012. Recently water quality—in particular, nitrate—has become a major issue as well. 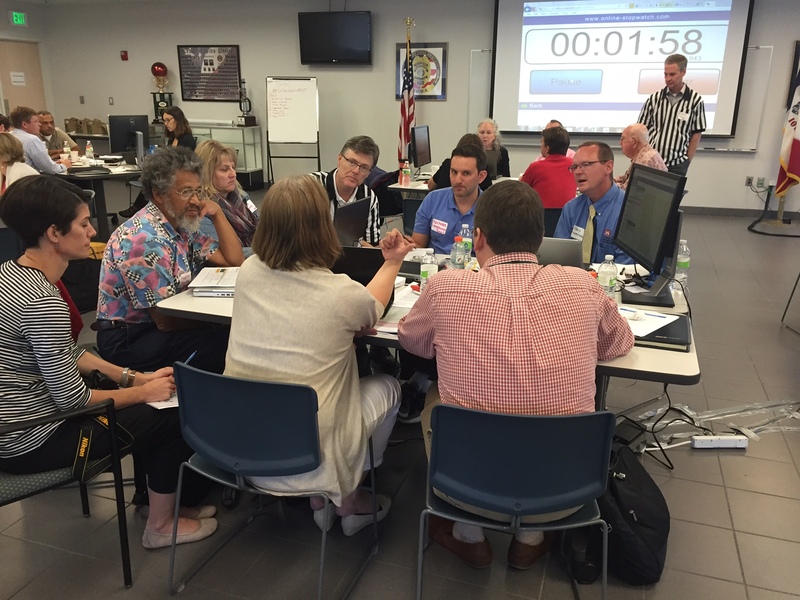 To help bring stakeholders in the basin together, on September 1, 2016 the Institute for Water Resources and its partners, with partial support from ICIWaRM, recently held a “Multi-hazard Tournament” (MHT) in Cedar Rapids, IA. There were sixty participants from federal, state and local government, academia, non-governmental organizations and the agricultural sector. An MHT is a table-top or simulation exercise designed to aid decision-making by playing out potential strategies to reduce drought, flood risk, and/or other water-related risks. It creates a fun but competitive, team-centered learning environment that educates stakeholders on the options available to address the many water management challenges of a basin. It also addresses the costs and tradeoffs of these options and their potential effects on other interest groups. 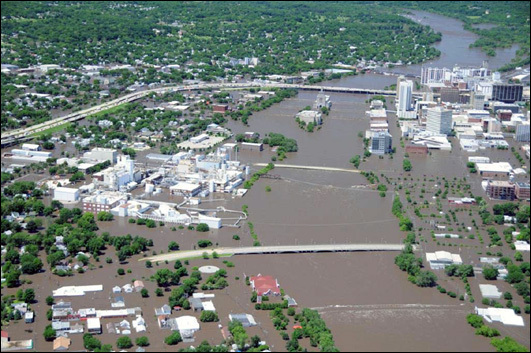 Both structural approaches (e.g., treatment plants, higher levees, wells and infiltration ponds) and non-structural approaches (e.g., zoning modifications, modified tillage practices, wetlands restoration) can be considered. Participants are also free, within reason, to propose innovative solutions not originally considered as options in the game. In the end, 71% of the participants who responded to a post-tournament survey said that they would likely use the tournament results to inform future decisions. 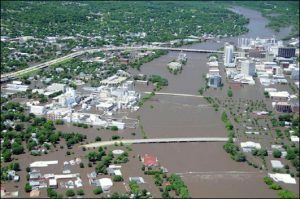 This process will also be informed by IoWaDSS—a Web-based Planning Tool for Cedar Rapids and Surrounding Area that was developed in association with the tournament. Additional tournaments are planned for the future. For more information, please contact us.